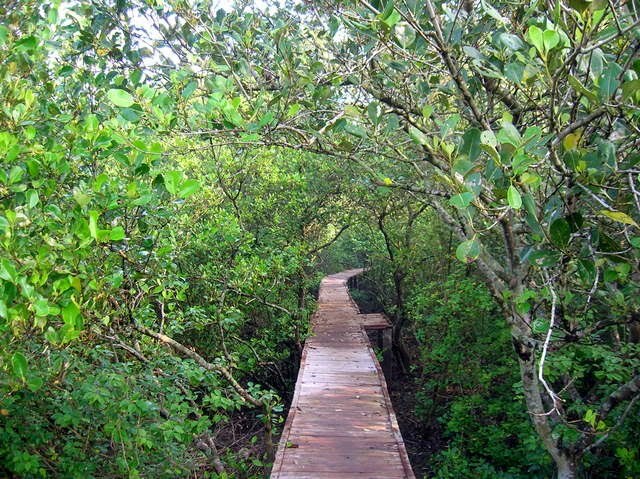 Coringa wildlife sanctuary is situated near Kakinada , Andhrapradesh (India). This sanctuary was formed on back waters of the sea. We can find salt water trees here like Rhizophora mucronata, Avicennia marina etc. 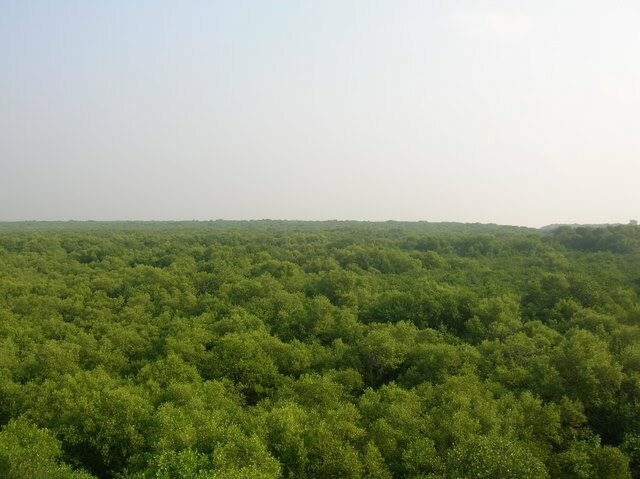 These trees formed very thick green vegetation and supports different wildlife. 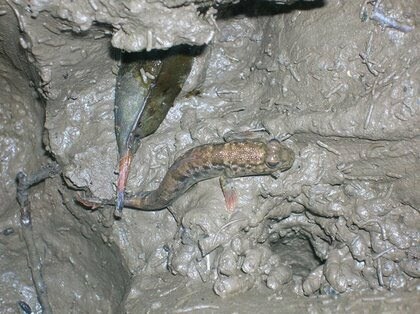 This wet place supports different kind of wildlife including crabs, mud-skippers, fishing cat and large number of birds. Forest department built a watch tower for visitors to see the sanctuary. There is wooden bridge is also built to go inside the forest. Reaching the place: This place is around 15km from Kakinada towards Yanam road. From Hyderabad : Kakinda is around 480km by road (Shortest distance) via suryapet, kammam, samalkot. There are other routes which are longer(via Vijayavada NH5) . Train route is also longer which is 566km. From Vishakapatnam : It is 145km by road. From Bhubaneswar : 575km by road.